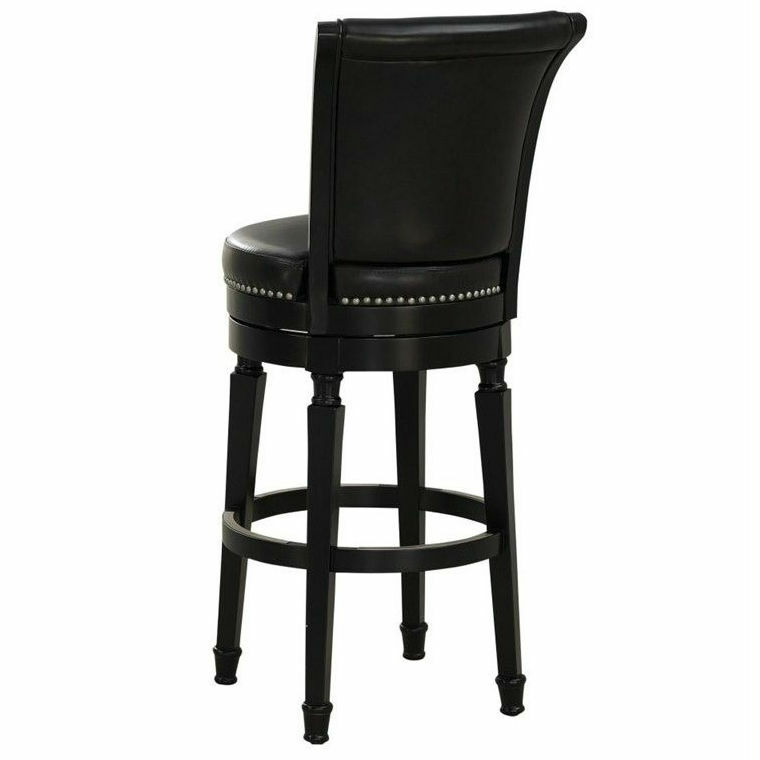 The Chelsea Bar Height Stool in Black is deep and mature in color, with a black frame finish and a deep java cushion cover. 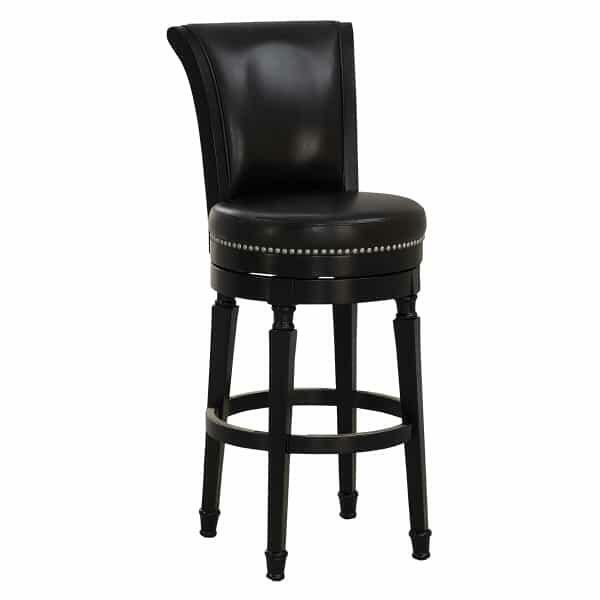 The tall seatback and seat cushion are both upholstered for a uniform, upscale appeal and comfort. The upholstery is bonded leather, which is a leather substitute that requires none of the hassle and upkeep of traditional leather coverings. The seat is decorated with a perimeter of hand placed individual tacking. For added comfort and convenience, the seatback is extra tall, the cushion is a plush 3’’ thick, the seat sits on a complete 360-degree swivel and the footrest is supportive and wraps completely around the base. The frame is made with sturdy maple wood and the bonded leather is made to outlast other upholstery options. If the style of the Chelsea is calling your name, feel confident in the construction of American Heritage.